Complete 2d and 3d designing solutions. At Design space, state of the art machinery combined with skilled and motivated work force and stringent quality control ensures that the products are manufactured to top industry standards. We provide, full marketing support service. Our top priority is providing the best customer satisfaction. Design Scape undertake turnkey office interior projects that includes complete interior solutions starting from designing, planning and executing. Design Scape provides a number of value-added services to the clients - large or small providing the end-to-end solutions. Experience of decorating more than 1500 homes and interior of more than 1 lakh sqft professional work space. Layouts, Designs, Concepts, Elevations, Furniture and Fixtures, workings electrical and plumbing details, 3d views using auto cad and 3DS max. Design Scape helps you to turn a Dream into Reality by incorporating design elements into your homes and commercial places. Complete solutions: designing, Consultancy and Supervision. Design Scape motto is to give Creativity and Functionality in Interior, modern interior designers, Architectural and Landscape design, delivering cost-effective and time-bound projects to clients. We are a company that believes that every project is a challenge in itself. This leads to in-depth research before a design is presented to the client. Complete Interior solution for floors, Flats, Villas, apartments or bungalows keeping in view clients budget and flair. Theme Bedrooms and drawing rooms. Complete furniture solution of all ranges. Whole furnishing range and window dressing. Wooden/ gypsum false ceilings with lighting effects. 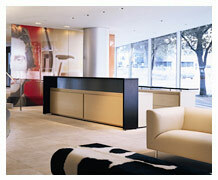 Complete Interior solution for a company set-up to enhance comfort, safety and productivity in an evolving workspace. Modular Partitions, Gypsum partitions, Glass partitions. Customized workstations to meet budget and functionality. False Ceiling - wooden, gypsum and tile based. Complete Cabling solution for computers, phones and other equipments by competent team. Steel and wooden furniture, cubicles and cabins, workstations, storage units, filing systems, complete range of chairs, industrial storage, flooring, wall paints (exteriors and interiors both), wall treatments, floor treatments, doors and windows, landscapes and acoustics. More than 1 lakh sqft bare shell area converted into professional work space. Our expertise in Highend Apartments like Aralias in Gurgaon.